reflexology treatment consist of a combination of acupressure and massage. By applying firm but gentle pressure on the pressure points of the feet and hands. The pressure opens up blockages that may be in the body. Reflexology helps removes those blockages to help facilitate healing within the body. 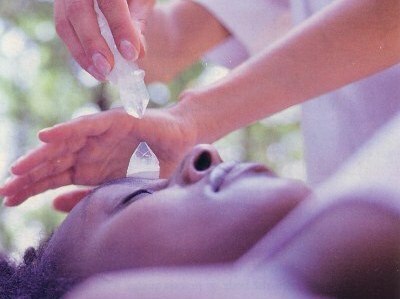 I do this in conjunction with the healing energy of crystals.. 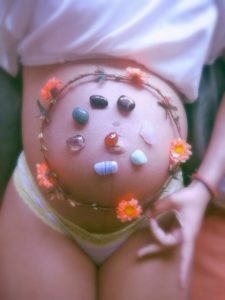 I use a crystal massage wand to assist me in the reflexology treatment along with other various crystals that are placed on the body. Crystals help remove spiritual blockages, repair and restore spiritual balance within the body. When we are spiritually unbalanced, which can be a result of trauma…we tend to exhibit destructive behavioral patterns such as nervousness, anxiousness, and depression that can lead to heart, ulcer and possible organ failure. So schedule a appointment today! See what special Crystal message you receive today by clicking below on the card!